Are you aware of the different types of piano intervals used in music? As a piano player this is one basic theoretical concept that you should know. There are different types of interval in music. But before exploring the different types of interval used let us first find out the meaning of the term. 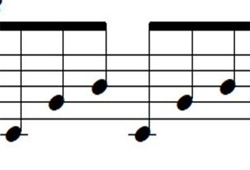 An interval can be defined as the distance in pitch between two different notes. Two types of interval that are represented on music sheets are melodic and harmonic intervals. When two notes are played one after the other at different pitches, it can be described as a melodic interval. However, a harmonic interval is when two notes at different pitches are played simultaneously. Below are two illustrations showing how melodic and harmonic intervals appear on the staff or stave. The two type of intervals mentioned earlier are heard in every genre of music and can be played on all keyboard instruments. However there are two types of piano interval that all aspiring piano players should be aware of. They are tones and semitones. A semitone is an interval with the shortest distance between two notes on the piano. In other words, notes that are immediately next each other on the piano keyboard are semitones. For example the E and F keys are next each other like wise the B and C keys. These are the only white keys on the piano that form semitones. Most semitones on the piano are formed by moving from a white key to a black key that is immediately adjacent to each other. The illustration below should explain. 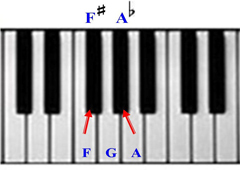 It is clear that the closest note to F is F sharp and not G.
Please note that the black key comes between F and G. F sharp is a semitone away from F and G. A flat to A is also a semitone. A semitone is also called a “half step or half tone” in music. A tone is made up of two semitones. A tone is also referred to as a whole tone or whole step in music. The illustration below will give further explanations. 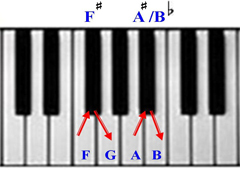 The diagram above shows us some sets of semitone movements that are located on the keyboard. F to F sharp, F sharp to G, A to A sharp and A sharp to B are all semitone movements. However, the diagram also illustrates the concept of how two semitones come together to create a tone. If you should move from F to G or from A to B skipping the black keys that comes between the two sets of movements respectively, then you would have moved a tone or whole step. Both tones and semitones are intervals that are used in the construction of scales. This is been revealed in the information presented on the major scale. A major scale has eight notes but it takes seven movement of intervals to complete the scale when it is been played. Below is an illustration showing the how tones and semitones are used in the formation of a major scale. The illustration above shows us how many tones and semitones are used to form a major scale. The arrangement of the tones and semitones used in the C major scale above apply to all major scales. This means that a major scale has five tones and two semitones when played. While you continue to research and practice, you will find out that there are other types of piano intervals that exist. You will even learn to use intervals in other instances such as arpeggios, chord constructions and chord progressions. 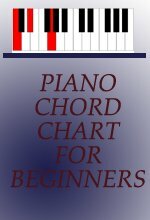 Click here to leave the piano intervals page and return to home page.